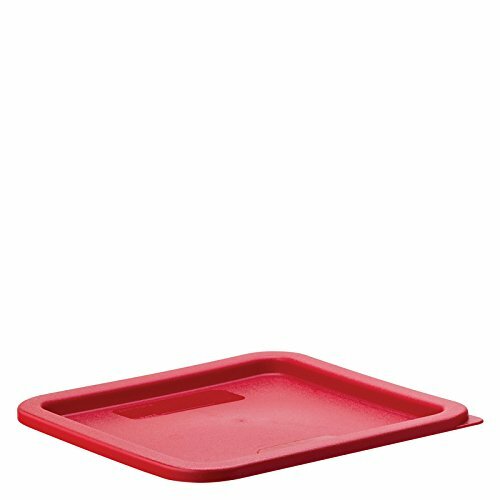 Carlisle StorPlus Polyethylene lid help you to maintain food quality and control inventory turns. For 6-8 quarts Square Container. Lid has content indicators to help you identify contents easily. Color-coded, textured snap-on lid allows convenient stacking. Lid fits both polycarbonate and polyethylene containers. Measures 9-inches length by 9-inches width by 5/8-inches height. NSF listed and dishwasher safe. Made in USA. BPA free. View More In Commercial Food Storage.